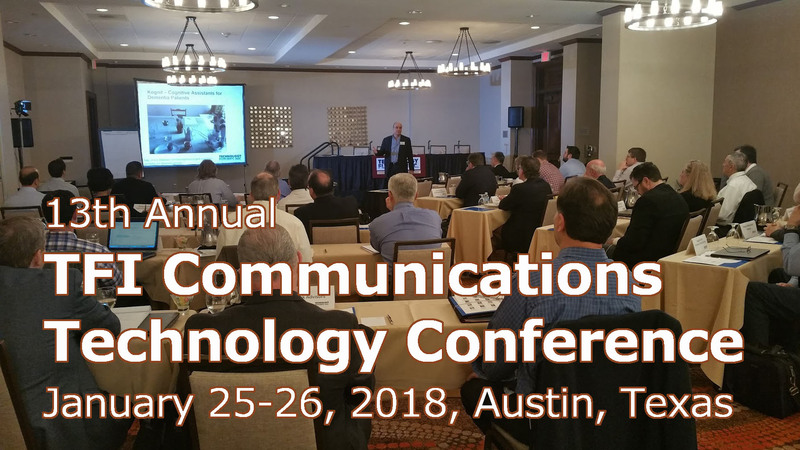 Thank you to everyone who attended and participated in our 2018 TFI Communications Technology Conference. It was another great conference! Slides for the presentations are below. Videos are linked below or can be viewed on our TFI YouTube channel. Check out conference photos on our Facebook page. Hope you can join us for the 14th Annual TFI Technology Conference, January 24-25, 2019, in Austin, Texas.